Sarika graduated from The University of Manchester in 2013. She completed her dental foundation training here at Perry Vale and has been a valuable member of the team since. She enjoys all aspects of dentistry but particularly enjoys restorative and cosmetic dentistry and treating paediatric patients. 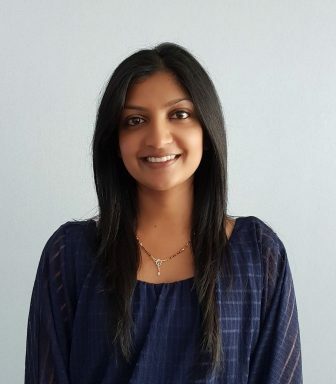 Sarika is a fully qualified provider of Six Month Smiles and Invisalign Go and can offer free consultations to discuss all options for cosmetic adult orthodontics. She is currently undertaking a 1 year certificated course in Restorative and Aesthetic dentistry and can provide options for smile makeovers, cosmetic crowns, fillings and whitening.